When you have a BBQ smoker, you just need to complete your persona with a perfectly suited apron. Aprons have gained quite a bit of popularity, especially BBQ aprons, since they are very versatile. They provide valuable protection to your clothing while you create delicious meals since they cover most of your front body area. 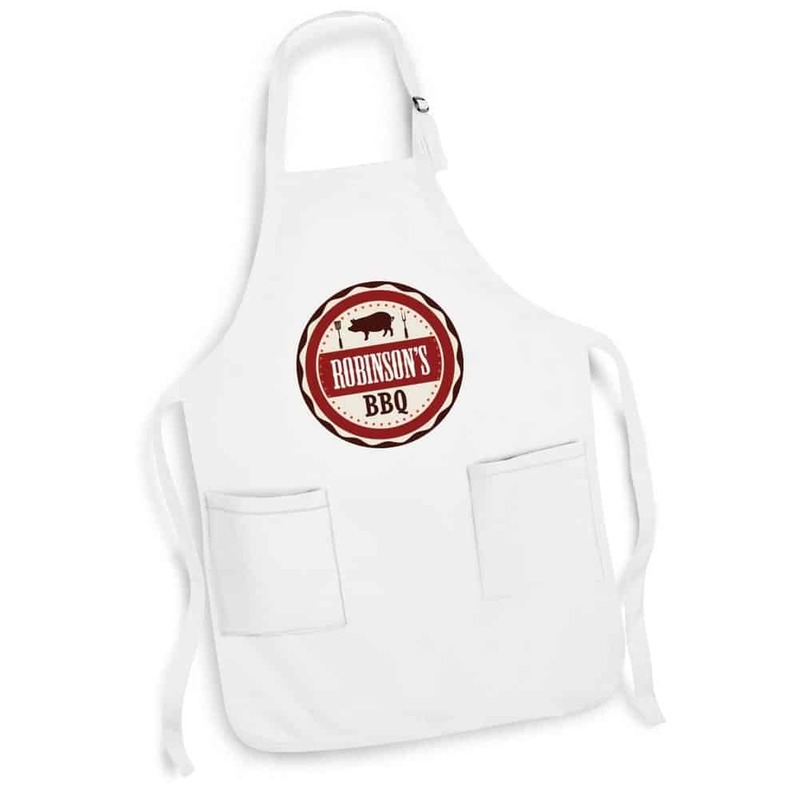 Nowadays, you’re able to find BBQ aprons in multiple colors and styles, even stripes, plaids or simply solid colors. They also include custom pockets that are perfectly suited to fit your smoking utensils which provides quick and easy access to your tools. And they even come with an adjustable neck strap that aids in making sure you’re comfortable while you smoke meats, grill burgers, prepare amazing steaks or simply grill vegetables. 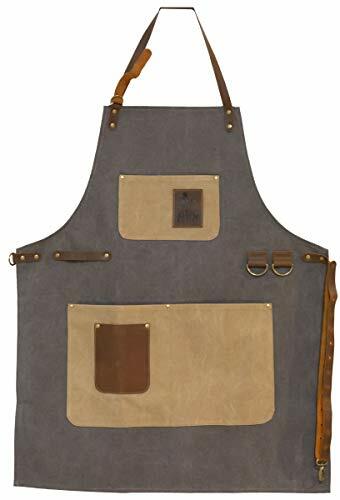 A very popular BBQ apron (and my personal favorite) is this commercial grade by HOMWE since it features a large front pocket that can fit almost all the tools you’ll need while smoking and has an adjustable neck strap which ensures a comfortable fit. 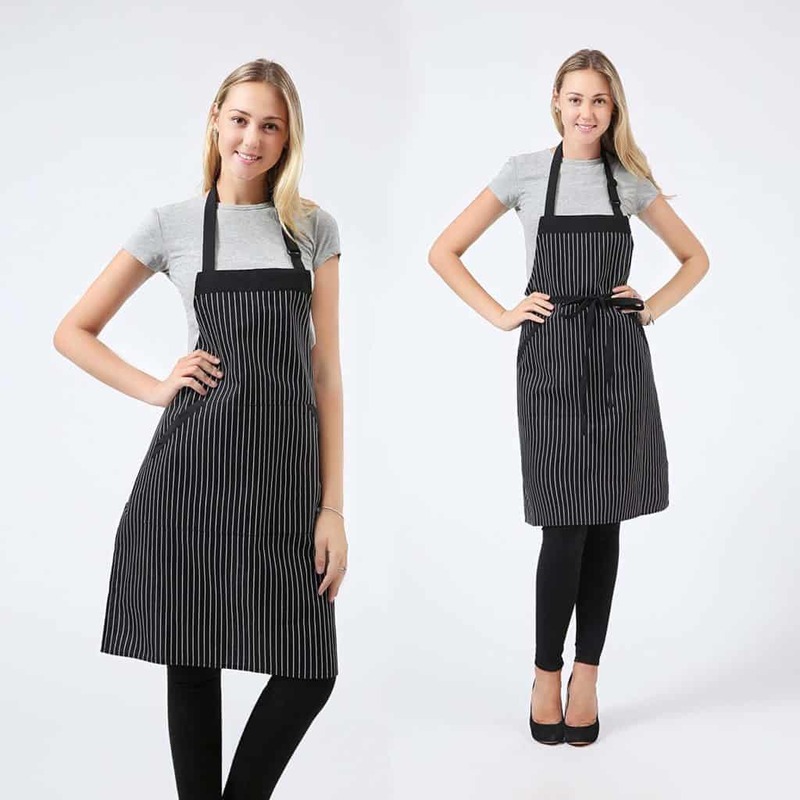 Another great option is this butcher stripe modern apron since it’s also made from cotton and is ideal for any professional smoker since it’s 32 inches long. They’re both machine washable so that makes clean up a breeze. However, if you’re looking to add some more fun to your BBQ smoking activities, then you might be more interested in this customizable apron by WHATONEARTH that includes pre-designed quirky and fun phrases. The nice extra is that you can print your own design as well, to create an enjoyable experience. Features a large front pocket where you can fit your BBQ smoking tools. Long, elegant apron which provides all the protection you’ll need. 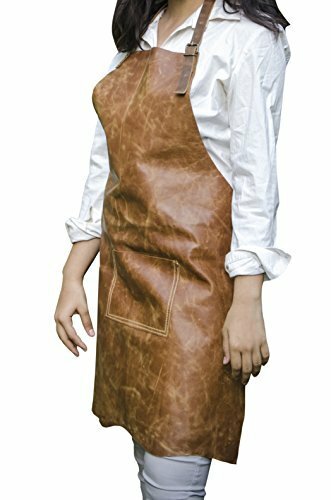 Quality apron which provides a fun and easy way to add some character to your BBQ smoking activities. There are so many varied apron styles that you can choose from, from bistro, bib and cobbler aprons all the way to waist aprons. These can all be customized and are a fantastic way to provide advertising for your business or brand, aside from being a fun item to wear. If you look at it from a work perspective, your employees can wear aprons while they work which not only creates a safer and more convenient work environment but also standardizes their look which adds some more professionalism. The apron style you choose will vary according to your industry. Currently, a very popular apron style is bib aprons, since they provide valuable protection to the front of your body and, in consequence, your clothing. In this style, you have multiple pocket configurations that you can choose from. This modern tuxedo apron is one of those configurations. It features a v-neck layout and is usually made out of a blend of polyester and cotton, which offers durability, while still maintaining softness and comfort. 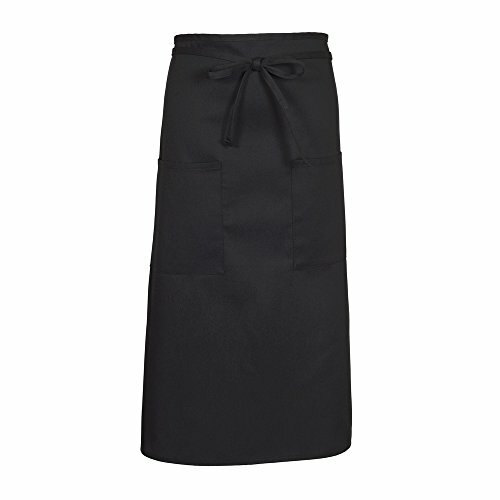 Another popular option is bistro aprons, which cover your body from the waist down. They tend to be longer than all the other apron styles and are also useful since they provide a convenient surface where you can wipe your hands while you work. They tend to be seen on professional chefs and those working in kitchen environments. Cobbler aprons are an option that you might remember from art class. These aprons cover both the front and back of your body while still giving you full movement. They tie up on the sides of your waist which makes them convenient to put on. For the added benefit, when looking for cobbler aprons, try to choose the ones that feature two or more pockets. 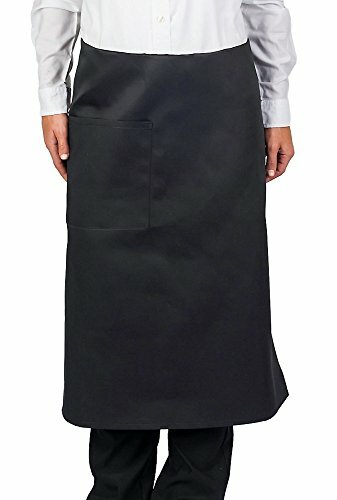 Finally, waist aprons are shorter than bistro aprons and are usually worn by either bar staff in restaurants and hotels, as well as waiters/waitresses. They also come in multiple pocket configurations that let you carry all your instruments, multiple colors, multiple designs and more. 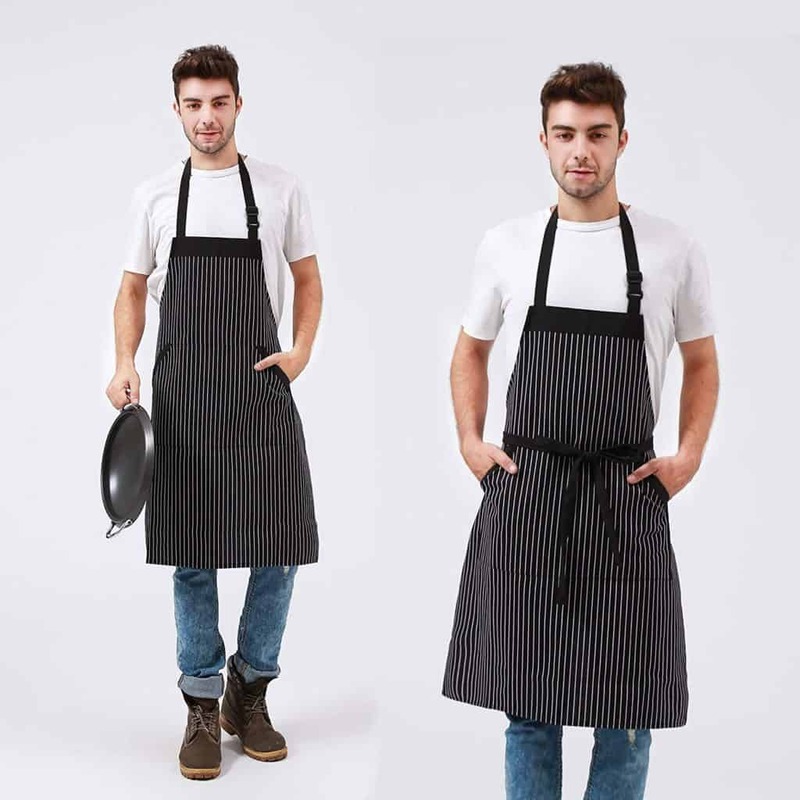 Now when it comes down to buying an apron for you (or for your company and employees), you not only have multiple styles to choose from, but you also have to consider the level of protection you will need. You can start out with waist aprons, which are typical for wait staff but are extremely convenient and easy to use since you simply tie them around your waist area and they protect your thighs. In this case, you can choose a solid color, or experiment with themed or patterned styles. These are a great colorful addition to your collection and will either formalize or lighten things up around you. Can I get a custom apron or multiple for my BBQ smoking team? Definitely! 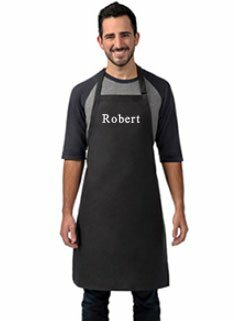 Many BBQ aprons offer you the possibility of buying in bulk which also reduces their costs and makes them more affordable. Having multiple will always come in handy at home and if you have a BBQ smoking team or will need them for work or business matters, having multiple is also necessary. 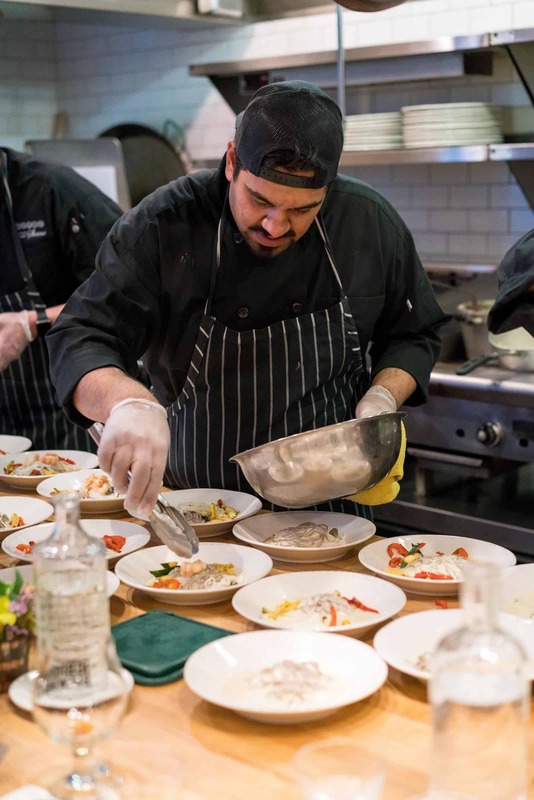 In a business environment, changing your apron or having your employees change theirs regularly displays a very impressive and clean environment where customers know their meals are also cleanly prepared. And as we mentioned previously, patterned and themed aprons are also a fun addition to spice things up every now and then, and vary a bit from solid color BBQ aprons. You can choose something that you identify with or something you find fun, either way, all your spectators will enjoy it as well. 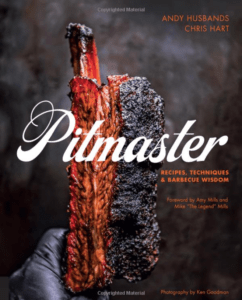 If you’re handling BBQ smoking from a professional or work perspective, then the apron style and material can be chosen in order to match your particular needs. For example, bar aprons are easily customizable and can include your company’s logo and/or slogan. This is a great addition to any business owner since your employees are uninformed and can be easily recognized by your current and potential customers. And even though aprons are most commonly made out of cotton and polyester, some can be made out of vinyl since it’s more heavy-duty and can withstand use with tougher materials. Aprons have been around for hundreds of years and yet they continue to be a popular and necessary addition in any kitchen and any environment that involves cooking. Their origins seem to date back to the 16th century when they believe to have first been used. However, they were simple cloth pieces tied around the waist. As you can tell, that is very different from today’s aprons which have a multitude of colors, styles, designs and many other customizable features. Now let’s take this moment to review the best aprons I’ve been able to find and test, so you can decide the one that best works for you. This is an amazing apron made out of 65% polyester and 35% cotton yarn dyed fabric. It’s machine washable, will not fade and will also resist wrinkles, shrinkage and anything BBQ smoking sends its way. It also features an adjustable neck strap and has 40 inch long ties which can be wrapped around you and then tied in the front for easy access. Since the ties are very long, they can be adjusted to fit almost any size. 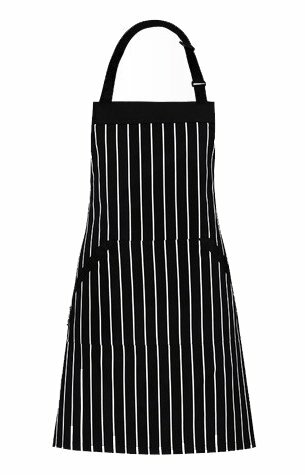 It’s black & white pinstripe design makes it unisex so it can fit both men and women but it also features a large front pocket where you can hold your seasonings, meat thermometers, grill slips and more. Finally, it’s 27” by 33” so it covers a large area, protecting you from BBQ grease, food spills, and stains. This way you can keep your clothes intact while preparing delicious smoked dishes. When I first got it, I honestly wasn’t expecting it to be so sturdy and high-quality since it’s affordable. Before this apron, I only had one I got at a local retailer. Sure, it’s high-quality but I knew I needed a second one to keep up with me. After heading back to get a second one I noticed the price had increased a ridiculous amount, so now I would have to spend over $50 to get a “decent” apron? No, I decided to take a look over online and found this amazing apron. Surprisingly enough, the material was just as good, if not better, than my pricey apron and it’s been able to withstand any test I have sent its way. It still looks as good as the first day I got it. Kitchen Style is well-known for their creative designs that are carefully crafted to also look professional. Every color, pattern, and line is intentional and serves a purpose, so their designs always look beautifully refined. Their products are made from 100% cotton twill which guarantees comfort, as well as durability, They also feature a large front pocket and an adjustable neck strap to help guarantee that the waist ties will actually fit around your waist. Their biggest plus is that they’re also machine washable, so you don’t need to worry about having any extra care to get it back in pristine shape. This is especially important since they’re made out of 100% cotton. As we mentioned above, these aprons are an easy way to add a fun touch while you master the BBQ smoker. This one from WHATONEARTH lets you add any phrase or name you want, above the BBQ phrase. You can also get this one from Fodiyaer which has a cool and fun message to help show your guests you’re not messing around and are the “King of the Grill”. It’s also made out of 100% quality. Aside from these, you also have many more amazing options to choose from. How about an apron from Printualist that lets you completely print out your own design? It’s digitally printed using DTG or Direct to Garment technology so the colors are perfectly printed on the fabric. It’s resilient and also made out of 100% cotton so it’s safe to wash in the laundry machine. However, it’s important to note that some people have had issues with their designs almost disappearing after the first wash. Finally, we have a very simple apron design that simply lets you embroider it to make it custom and a great gift for your favorite BBQ smoker or yourself. I haven’t tried this one out myself but so far the reviews have been positive and show that the colors are nice and vibrant, and the embroidering is high-quality. I’ll be buying one as a gift soon, so I’ll be able to advise on the quality. Also, as you might know, taking care of your BBQ smoker apron, will help it last much longer then what the manufacturer states, and will keep it looking as good as new. The best way is to follow the instructions on your apron, paired with basic chef attire care, but today we’ll share some important information to help you give them the best care possible. It’s important to understand that all fabrics will wear with age. Some seams and edges might also fade or wear down in different degrees, depending on the use and where they’re located, affecting the stitching and thickness. This is especially true for 100% cotton fabrics. Their color tends to fade since it’s basically impossible for cotton to always retain its original color, but how quickly they fade will depend on a variety of factors. For example, how often the apron is washed, the quality of the water used to wash the apron, the detergents being used, exposure to sunlight and even how long they’re left in the water before drying or dirty/stained before washing. Polyester/cotton blends are much better suited if you don’t want the colors to fade and want something that is a bit more stain-resistant. The fabric combination makes it a bit more robust and a better fit for heavier roles and commercial use.